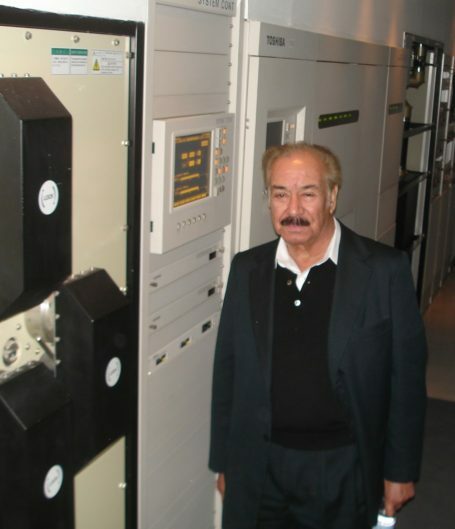 Francisco Laurent Martinez, who served as engineer and Chief Engineer of the Transmission Department at XETV in Tijuana from 1959 till this month, passed away March 24, 2013 in Tijuana. He saw the facility progress from a single English-language ABC affiliate for San Diego to a cluster of eight Televisa-operated TV stations, all now with solid-state transmitters and antennas on two self-supporting 500 foot towers. He mentored engineer Humberto Borzani, who told us Francisco was born December 7th, 1930 in Tijuana. He graduated in 1956 as an Engineer with a major in Electronics and Communications in Mexico City. He served as Chief Engineer of the Radio Monitoring Station of SCT (the Mexican equivalent of the FCC) from 1972 to 1987. The SCT sent him to Washington to coordinate cross-border frequency allocation studies in 1979. Francisco served as professor at the Instituto Tecnológico de Tijuana from 1971 till 1987, and was founder of the associated cultural FM station Radio Tecnológico 88.7 MHz FM from 1987 till 2005. 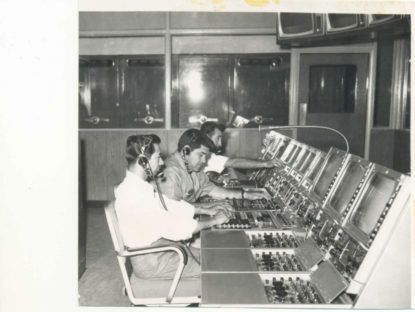 XETV Tijuana Master Control, 1968, when they were an ABC Network affiliate. Francisco Laurent in foreground. On a personal note, I worked at XETV’s U.S. operations from 2004 till 2010, but was always warmly welcomed at the Mexican master control and transmission site. I have never seen a transmitter site like the one Francisco led, from the marble floor at the entrance and master control rooms to the spotless transmitter rooms to the twice-filtered air and shiny copper transmission lines. The 1955 GE transmitter was ready for air until just a few years ago. Their UPS and generator backups kept the transmitters going without interruption for years at a time. Francisco was justifiably proud of that facility, and he will be missed.